Zong is changing prices of its mobile broadband packages and the company has increased the prices of at least four of its MBB packages. Zong published an advertisement in the paper according to which four 3G and 4G MBB packages (come with MiFis or dongles) have been revised. All the other packages will remain the same. This measure by Zong shows that telecom operators will now set prices of their packages in a rational way. Zong has taken the initiative in this matter and the company is known as providing few of the lowest MBB prices in the country and now other operators are also expected to follow this process. This increase will not please the customers but it was needed and according to expectations and now others will also follow this trend. It should be remembered that the most important aspect for Zong is its 4G package for which it has already grabbed 2 million customers. Now Zong has stated that it will try to expand its 4G network all over the country by investing heavily on it. 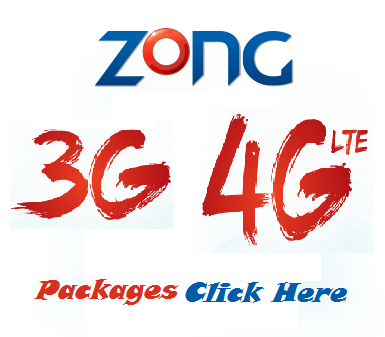 Zong has already over 6,000 cell sites of 4G and they are expecting to increase it further in the current year 2017.